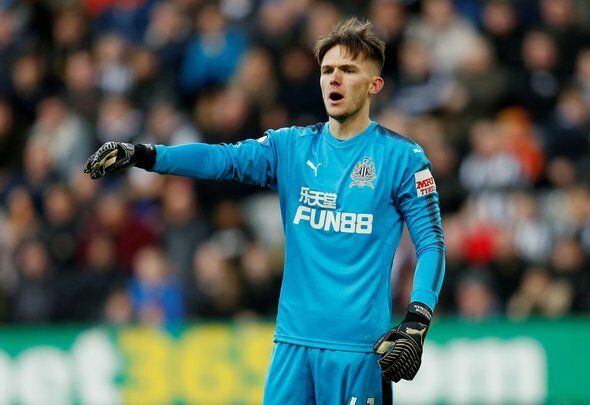 Goalkeeper Freddie Woodman is set to be the biggest winner at Newcastle United if the club conclude deals to sign Lukasz Fabianski and Martin Dubravka. The 21-year-old may still be waiting a while to be the Magpies’ first-choice goalkeeper, but given the age of the goalkeepers that Rafa Benitez reportedly wants to sign, it means there’s a real opportunity for him at St James’ Park in his future. The Chronicle stated that Benitez was keen to exercise the £4million clause that would see Dubravka, 29, make his January loan from Sparta Prague permanent, while the Guardian claimed the Magpies were also looking at signing Swansea City’s Fabianski. The national newspaper claimed that Fabianski,33, was set to cost in the region of £5million this summer as he has only a year left of his current Swans deal. Even if the Magpies splurge £9million on welcoming two new shot-stoppers to St James’ Park, Woodman should not drop his head. The 21-year-old, may not have made an appearance in the Premier League as of yet, but after impressing in The FA Cup against Luton in January, it’s clear he has a bright future in the game. The arrival of Fabianski and Dubravka would solve Benitez’s immediate problems between the sticks in his team, as both would be capable of being the Magpies’ number one, but both aren’t the most long-term option. While goalkeepers tend to play deep into their 30s if Woodman gains valuable experience while out on loan over the course of the next two seasons, the club won’t hesitate to put his younger face in their team, compared to players 30 and above. This means the 21-year-old should be clearly able to visualise a realistic path to the first-team, within a timeframe in which both he and the club can remain patience regarding his future. The Magpies could have opted to sign two younger goalkeepers to fix their problems, but if the latest reports are true, they’re keen to sign two older sets of hands with experienced. Therefore while the team will immediately benefit from both, it’s actually Woodman who will be the biggest winner if the Magpies complete their reported £9million business as it means he has future at the club.